Canderel’s AURA, Gerrard Street at Yonge, is hard to miss. 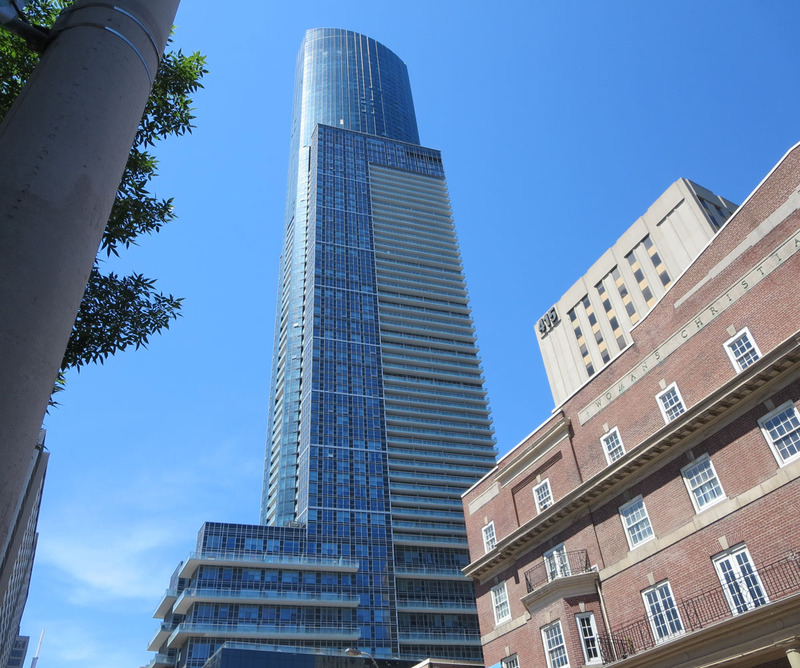 Rising 78 storeys above TORONTO’s College Park, the structure is – for the moment anyway – the tallest apartment tower in the city. In an attempt to make AURA stand out even more on the downtown skyline ten LED-light icicles are presently being tested. Plans are to make them permanent. This entry was posted in Development and tagged Aura lights up downtown Toronto, Canada, Ontario, Toronto. Bookmark the permalink.